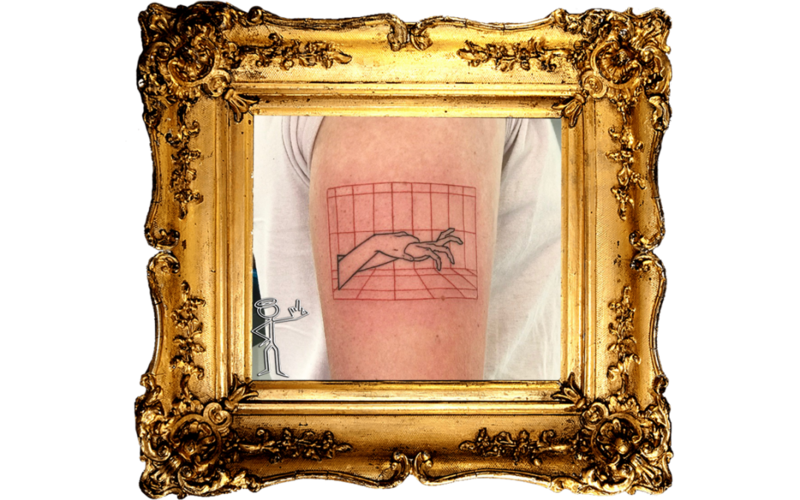 This customer came to the I Aint No Saint Studio with an image that he wanted to have as a Tattoo. He booked in there and then to get his first tattoo. 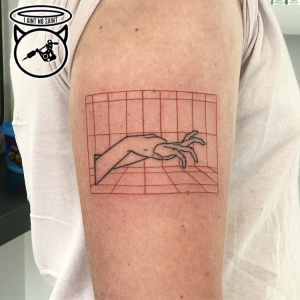 The I Aint No Saint Tattoo Studio is located in Abbots Langley, so if you are looking for a Kings Langley Tattoo Studio we are less than 5 minutes away! Iain is the only artist here at I Aint No Saint, and you can take a look at his work in the gallery here. Whether you like Colour or Black and Grey Tattoos Iain is happy working in both styles. If you want to get a new Tattoo why not come to the I Aint No Saint Studio for a chat. Bring with you any reference images you have for us to take a look at. If you can’t get in during our opening hours you can contact us now using our contact form.